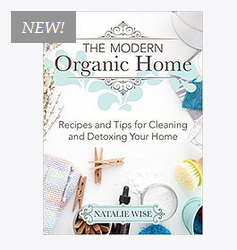 If you need help learning how to clean, beautify and declutter your kitchen, bathroom or any other room naturally and effectively, The Modern Organic Home by Natalie Wise will give you recipes, inspiration and clear directions that will lead to success. The book includes effective, natural and organic recipes plus step-by-step instructions for cleaning almost every surface in your home. Learn how to make your own cleaning wipes, baby wipes and other cleaning products using safe, organic ingredients. Learn how to use essential oils — what each one works best for, and when you’d want to choose one type of essential oil over another. Find DIY recipes for combining affordable ingredients like baking soda, vinegar and hydrogen peroxide to save a bundle on your household cleaning. If you can’t ever seem to beat the clutter around your place, this book will be an especially helpful resource for you. The text includes clear, actionable, step-by-step instructions for decluttering every room. 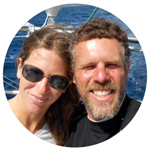 The author, Natalie, breaks the decluttering process down into doable steps that will help you succeed with the task. 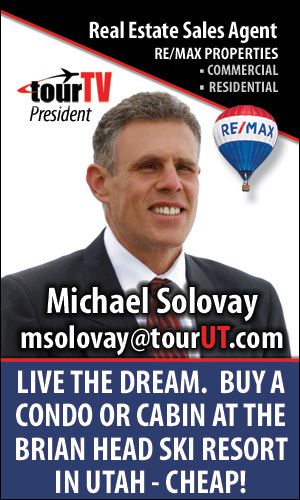 Get More Info About The Modern Organic Home in My Detailed Book Review. Shop for This Book at Amazon. 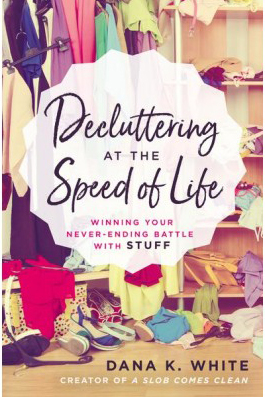 Decluttering at the Speed of Life Book by Dana K. White — This book will teach you simple decluttering methods that really work! This is hands-down the best book we’ve discovered on the topic of how to declutter a home. It’s a no-nonsense, non judgmental guide filled with workable, actionable advice for how to filter through all the things you own, keeping the belongings that work and getting rid of the ones that don’t. When you’re finished working your way through the book, the result is a home you can be proud of. If your decorating efforts are totally stalled because you have too much stuff cluttering up your place, this book offers exactly the help you need. Whether or not you enjoy sewing, you probably have some sewing thread hanging around your place. Is it cluttering up a junk drawer? Could you even find it if you need to use it for mending a torn shirt, tablecloth or pair of jeans? Getting it organized could save you lots of wasted time, and possibly even money (because you’ll eliminate needless trips to the craft store and purchasing duplicate thread spools if you can find the spool you need when you need it). If anyone in your home is interested in knitting or crochet, you probably have yarn that needs to be stored and organized. This page will give you bunches of fabulous ideas for easily managing a yarn stash — keeping all your yarn skeins accessible, out of the way and attractively organized. If you need a space-efficient organizer that can help you keep all your paintbrushes together or all your crochet hooks and shorter knitting needles in one place, this organizer is a top choice for those purposes. If you want to keep your yarn neatly organized in a closet or craft room yet have it easily accessible so you can take it with you when you head out the door, ArtBin makes some useful project bags you’ll want to know about. These translucent plastic craft organizers are versatile and can hold 12″x12″ scrapbooking papers, collage papers, origami papers, photo albums, yarn, fabrics, adhesives, paints, paintbrushes, knitting needles, crochet hooks or just about any other type of craft supplies you might like to get organized. This little organizer is one of the best solutions available for organizing adhesives, glitter, crayons, markers, rubber stamps, clear stamps, scrapbooking embellishments, ribbon, scissors / Paper Edgers, crochet thread, embroidery floss and bunches of other craft supplies or other supplies. If you have a small collection of pliers, jeweler’s tools, wire and beads that are already packaged in tubes, it’s also a smart solution for those. It works well for storing bunches of other household items, office supplies or small toys like PVC figurines or mini dolls. This page was last updated on 3-7-2019.